I saw your new pouch in your shop and thatz a really cute pouch! 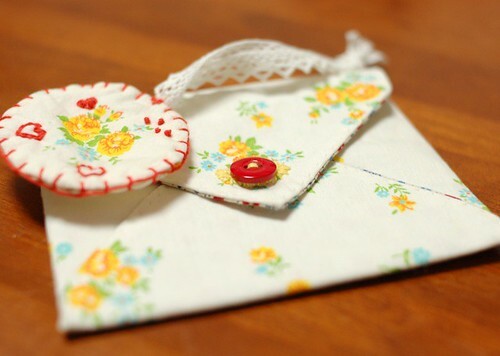 I love that lovely flower fabrics too! Have a lovely merry happy day and love to you!! 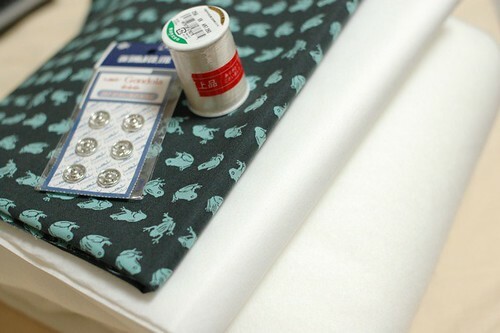 The froggy fabric is lovely! And your little pouch is adorable. 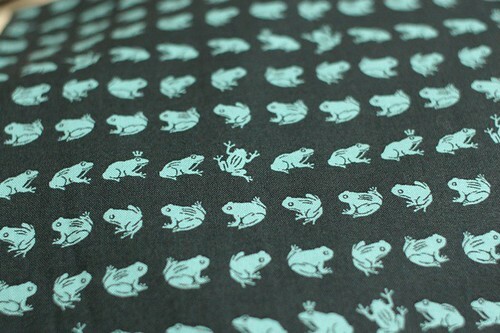 I love your frog fabric! I have the same problem when I shop with my boyfriend. I don't feel comfortable spending a lot of time browsing while he waits. Such cutie frogs, can't wait to see what you'll be making with them! Oh, many people feels same! I feel happy a little (* v *). My boyfriend says me that he doesn't mind never. But it's difficult to ignore someone who is waiting for me. Jacqueline, I cannot find any cotton batting in craft shop. They sell only poly ones. It's fun to know the differences by countries. Thank you for all your comments! I'm thinking what I make with this cute frogs. I'm Cristina from Greece and been reading your blog for a while. I love everything you make. You know I feel the same way too, when someone is waiting for me, that's why I never take my boyfriend with me. 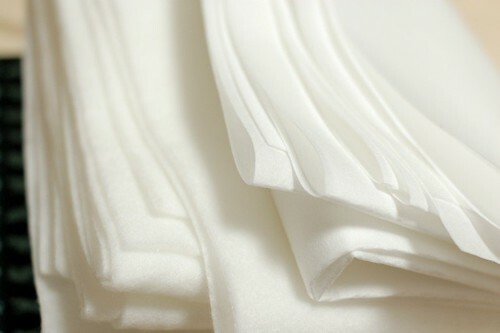 Your fabrics are so cute.